Located just ten minutes from the incredible center for shopping entertainment of Waikiki, The Kahala Hotel and Resort is a reigning luxury resort. 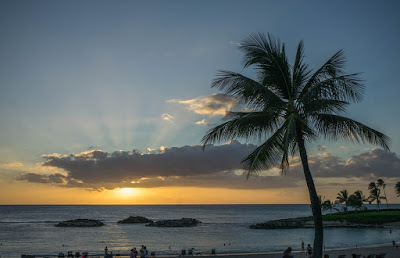 It is a favorite resort among international royalty, presidents, and celebrities on Hawaii vacations, so you know it must be a special place. The Kahala Hotel and Resort is right on the beach, so you can enjoy Hawaii's famous warm ocean waters and cooling breezes. It is only one mile from the Kahala Mall, 20 minutes drive to the airport, and seven miles to the Ala Moana Center. There are many things to do in Oahu, starting with The Kahala Hotel and Resort's outdoor pool. This pool has a swim-up bar and Beach Butler service, a children's section, and a Jacuzzi. If you would prefer to swim in the Pacific Ocean, that is quite enjoyable, too. There are a myriad of water sports available, including complimentary snorkeling. For an additional fee guests can try surfing, Jet Skis, or paddle boats, and fishing is always a great way to unwind. Speaking of unwinding, the Ala Wai, Koolau, Hawaii Kai, and Hawaii Prince golf courses are all close to this Oahu resort and very relaxing. Each is a professional, 18-hole course set against the back-drop of the Oahu landscape. Additionally, guests can enjoy horseback riding, tennis, massages, mani/pedis, and facials. There are five restaurants to choose between at The Kahala Hotel and Resort. The Veranda is adjacent to the lobby and offers afternoon tea, snacks, and evening cocktails. Tokyo Tokyo, serves, well, Japanese cuisine, obviously, with an open Sushi bar to boot. Hoku's Restaurant is award-winning, offering Oahu's most innovative dining options while guests can enjoy panoramic views of the Pacific. Plumeria Beach House is an open air cafe with buffets for all three meals. Finally, Seaside Grill serves sandwiches, seafood, salads, and tropical fruity drinks at beach side tables. The Keiki Club is a children's program that will babysit the little ones while parents escape for a relaxing day at the spa. At the Keiki club, they will have fun with hula dancing, lei making, kite flying, beach activities, fish prints, leaf prints, scavenger hunts, shell art, puppet making and more. Patrick Remington is a freelance writer who's got a lot of info on travel destinations and all inclusive vacation packages.